Why not join us this Sunday for a time of worship and Bible study. The Bible to be the only inspired, infallible and authoritative word of God. That there is one God, eternally existent in three Persons: Father, Son, and Holy Spirit. In the resurrection of both the saved and the lost: those who are saved unto the resurrection of life, and those who are lost unto the resurrection of damnation. Alwyn became a Christian in July 1968 at the age of 18. 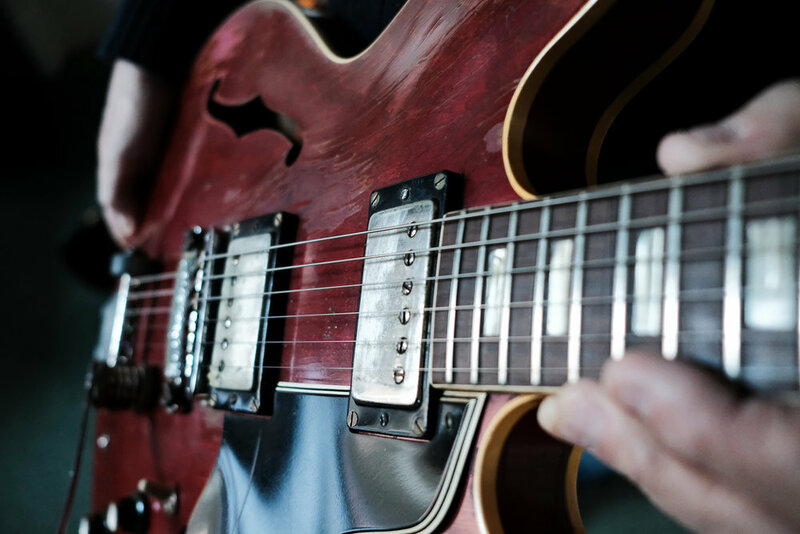 He grew up in the 60's and was playing guitar in local rock 'n roll bands from the age of 14, in his native home of Sutton-in-Ashfield in Nottinghamshire. During this period Alwyn and his long time friend (Malcom Wild) began travelling over England and Europe and the States, releasing two studio albums 'Fools Wisdom' and 'Wildwall'. It was at this time that Malcolm and Alwyn, as a gospel duo, found themselves in the US to experience and be a part of the revival that took place there in the early 70's. which became known at that time as the 'Jesus Movement'. Alwyn went on to form the 'Alwyn Wall Band' and released another album 'The Prize'. Alwyn was later invited to the States to be pastor of Calvary Chapel Vero Beach. 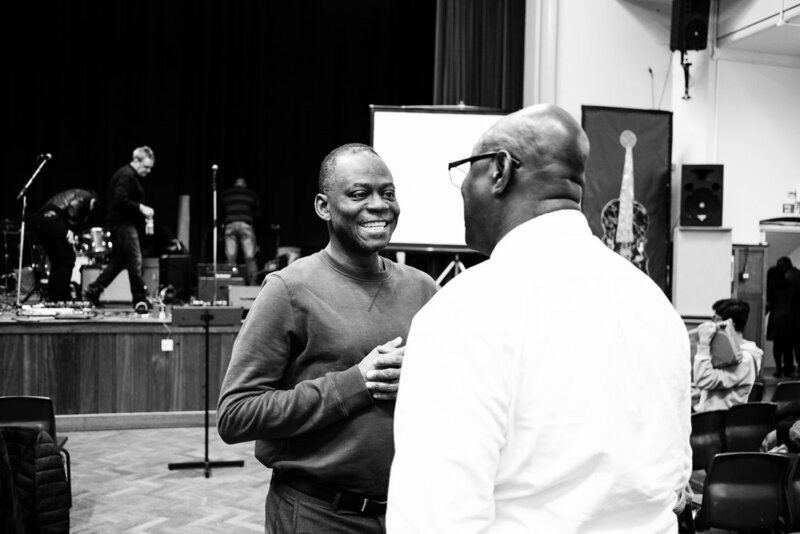 After about a year of ministry Alwyn returned back to the United Kingdom because he couldn't renew his visa to stay in the States. It was at this point Alwyn was asked to join as the worship leader at a church plant that was to be established in Westminster, London. Alwyn agreed to come along side and help start the work there, then after a short time was asked to take on the role of being the pastor. Since that time Alwyn has been the pastor here at Calvary London, a church of something like 600 people. Alwyn is married to Gloria (whom he met at the age of 14) and together they have two children. William - Born in Sierra Leone, is married to Princess and they are blessed with 3 children residing in Bermondsey in London. 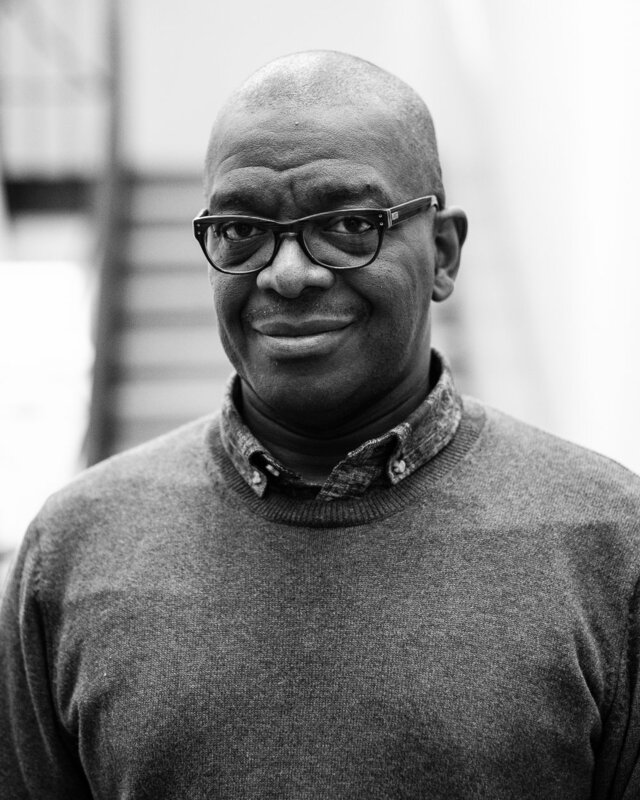 William has been attending Calvary London since 1997. He followed God's call to be an assistant to Pastor Alwyn Wall. He is always amazed with God's saving grace in his life. We are a group of people from all walks of life that come together throughout the week and on Sunday's to worship the Lord our God, Jesus Christ through the studying of his word the bible, praise, worship and prayer. 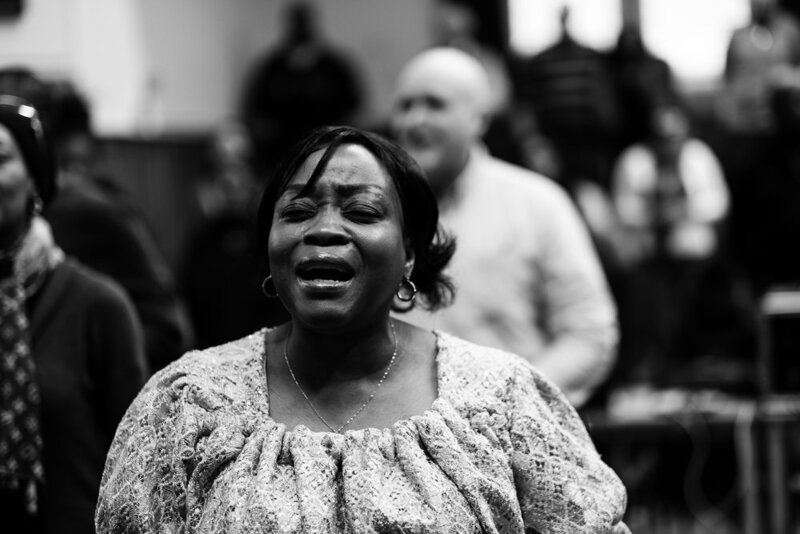 We are a congregation that is passionate about the Gospel of Jesus Christ. 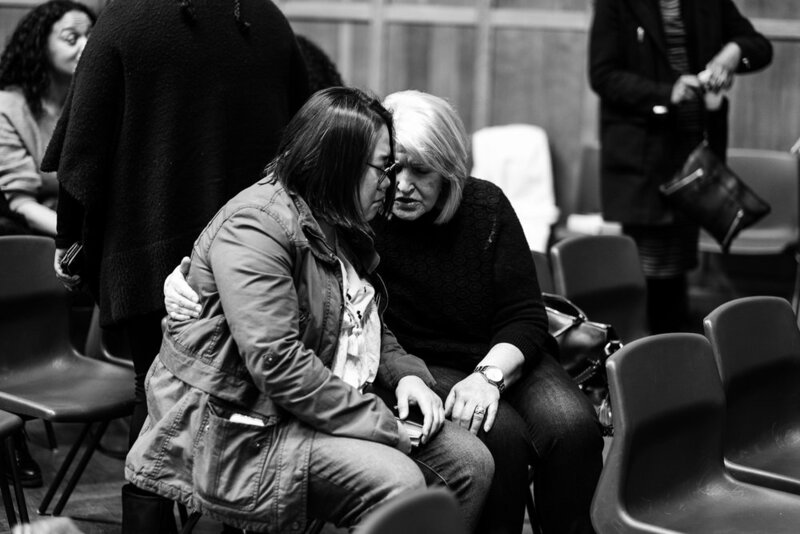 We are a congregation that seeks to know more about Christ every day of our lives. We are a congregation that love one another regardless of who or what we as individuals have done seeking to demonstrate the love of Christ that is agape love. 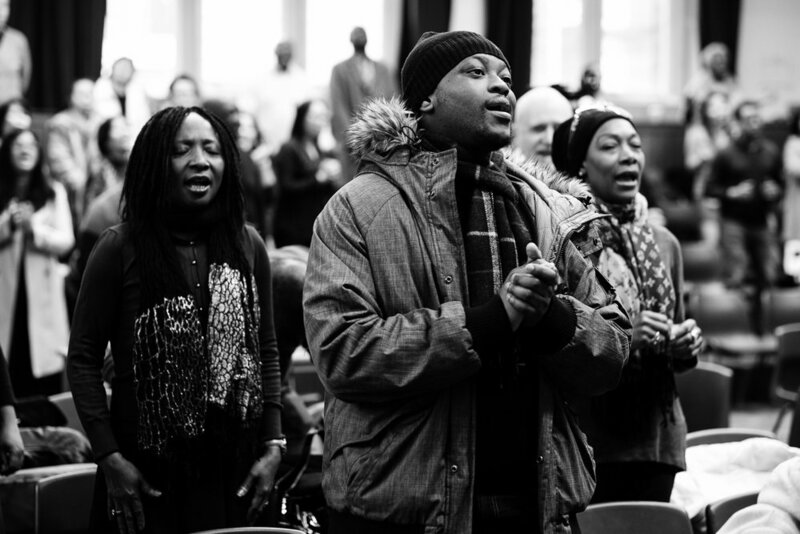 We are a congregation that enjoys praising the Lord in singing songs of worship. 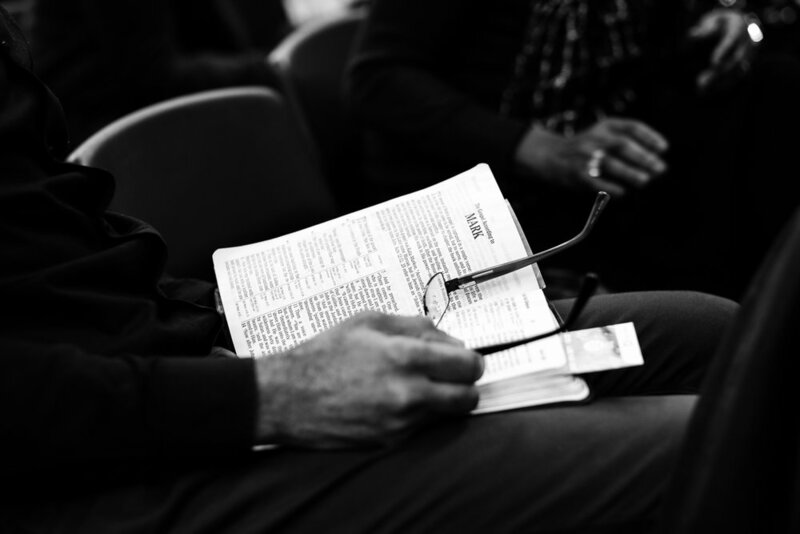 We are a congregation that challenge and encourage one another with the word of God in the Bible. We are a congregation that seeks after the Glory of Christ in all that we do as best we can. We are a congregation that look to Christ's return in great anticipation and hope knowing that at that time there will be no more tears, death, sorrow, crying or pain for those who are in Christ Jesus"